We all like to think of fun times at the park. A blanket to sit on, the kids playing and the warm sunshine. This quilt is designed for just that. Bed runners are a fun trend that started in luxurious higher-end boutique hotels and is a great option for those who like the look of a quilt but don?t want to make a full quilt. In the first class you will create the top using an amazing cutting ruler, then choose from different applique techniques being taught to finish. NO CLASS July is a time for family and fun. Enjoy but remember to come to class next month. 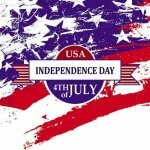 NO CLUB Enjoy your quilts this July for picnics, snuggle under or sit on to watch the celebration of freedom. NO Club History is a time of reflection to look back on the past, then move forward with our future. Come next month ready to be creative in your future. Everyone has some jelly rolls at home, so let us serge them into a shopping tote! In the process, learn a rolled hem and a narrow three-thread overlock seam. I modified the pattern slightly for the handles, we are going to make it with braided fabric handles. The braids will be made from three pieces of the jelly roll. Learn a quick way to turn tubes on your serger. Dust off that serger and join us. This bag is water resistant so you can take to the beach or swimming pool. 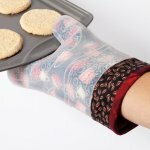 Using vinyl-coated fabric or make your own. This is a basic project to get you familiar with a few serger techniques. We will alter the pattern to construct some tube handles for this bag. 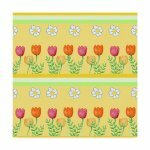 A new two-day event with a sewing and garden theme! You will learn new techniques like over-the-edge appliqu? and more! It's a cheery celebration, sewing with friends, and KimberBell. 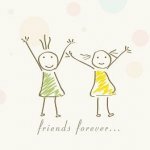 If you love Christa Watson or want to see what amazing quilts and techniques she has used, come to her trunk show here at Dave's Bernina!! She'll talk about her quilts, techniques used and why. You will leave inspired and motivated to start your own!! If you haven't met Christa, you are missing out!! 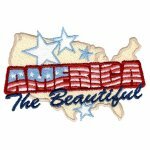 With her fun, bubbly personality and her amazing talent on quilting on a domestic sewing machine, you'll for sure have the time of your life and go away with so much knowledge on quilting!!! Make this magnificent quilt celebrating the nativity, with angels, wisemen, shepherds, and praising words. Bring the Spirit of Christmas to your home. We are offering some EXTRA TIME to help you get further on your "A Child Is Born" masterpiece. We're going to be at Panguitch for the famous Quiltwalk Retreat as a vendor and we'll be teaching classes too! We hope that you will join us in our classes or just come up for the day and look at all the quilts that'll be hanging up, plus there will be lots of vendors that will be set up there. So, come on and join us in the festivities! 2 Kimberbell events in 1 weekend! First we'll start with "Pumpkin Spice Makes Everything Nice" then move on to Kimberbells' newest "Spooky Soiree" Event. This will be a weekend of fun embroidery. So gather your friends and you'll "fall" in love with these projects! If you haven't met Christa Watson, you are missing out!! With her fun, bubbly personality and her amazing talent of quilting on a domestic sewing machine, you'll for sure have the time of your life and go away with so much knowledge on quilting!!! 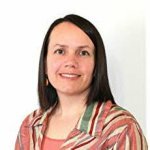 Join us for Claudia's newest workshop-only pattern, "A Child Is Born!" It is as inspiring as it is full of spiritual wonder. Enjoy the vast expanse of stars in the sky and the traditional elements in every beautiful Nativity...the angels on high, the little town of Bethlehem, the wise men, the shepherds, their sheep, and of course, the Baby Jesus, Mary and Joseph. Sign up quick because these spots will go fast! We are offering some EXTRA TIME to help you get further on your "A Child Is Born" masterpiece. This is the perfect opportunity to work towards finishing your project so you can have it done and ready to display during the Christmas season. Those who see it will be able to feel that sweet spirit of Christmas through your creation! 2 Classes; Sergers can look intimidating, but if you focus on one thread at a time, it's not quite as bad. 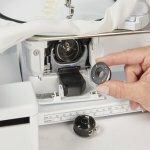 Learn about threading and sewing with many, many fun serger techniques. 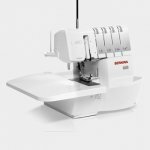 BERNINA Feet and Accessories are amazing come learn about some of the amazing things they can do to improve your sewing. The 500, 535, New 570QE, 590, 700, 770, 790, 880 are great machines. In this class you will learn how to use the embroidery module with your machine. Professional Cover- and Chainstitches For cover- and chainstitch, the coverstitch machine is a great partner to give a professional finish to self sewn textiles and garments. 4-5 Classes. SILVER BOBBIN MACHINES The 560, 580, 630, 635, 640, 730, 750,770, 780, 790 and some older machines, too. 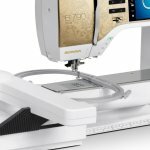 Continue learning about your machine including the embroidery module. You will also have a chance to complete your own embroidery project. We will work with directional sewing if your machine has that function. Learn to use your BERNINA embroidery machine to its full extent and enjoy being creative with fabric and thread! 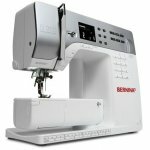 Stitch Fun: 3 hour class--Explore the decorative stitches and creative functions, of your BERNINA sewing machine while learning embellishments for almost any type of project; designed for all computerized BERNINA sewing machines. This class is a machine mastery class for the BERNINA 5, 7 & 8 Series. (This does not apply to the older 5 series machines, 730, 820 & 830) Come learn all the ins and outs of your machine. In Part 1 of this class, we will learn all the basic sewing features on your machine. This class is a machine mastery class for the BERNINA 5, 7 & 8 Series. (This does not apply to the older 5 series machines, 730, 820 & 830) Come learn all the ins and outs of your machine. In Part 2 of this class, we will learn all the exciting things you can do with embroidery on your machine. Congratulations on the purchase of your new BERNINA serger. The information in this class will help you learn the basics of using your new piece of sewing equipment. Even though it is very different from your sewing machine, once you learn to incorporate serging techniques into your sewing, you'll wonder how you ever got along without it. Second Serger Class. Take this class after you have completed Basic Serging. 'Moy Grande' BERNINA Retreat MOY GRANDE (GIANT HIBISCUS) is the largest open-face hibiscus flower in the world! It?s beautiful blooms reach out 8, 10 or 12 inches. Just like our BERNINA machines. Come join us for our summer retreat celebrating the BERNINA Grande machines. With the large embroidery hoops we can make brilliant projects. This Brilliant Backpack by Sue O?Very is made all in the hoop! Create a whole new design using the tools in the 880, 830, 790, 700 Machines. These machines are awesome. 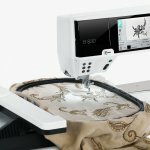 The tools in these machines can combine designs, edit designs, sequence designs, resize designs, endless embroidery designs, directional stitching designs, stitch designer designs. This fancy, lace runner is so pretty! I love the openness of the design. This will be done on a wash away stabilizer, then all you have to do when you finished embroidering is rinse and place. Quilting-in-the-hoop has never been this much fun! This clever star-shaped table topper features nine ready-to-stitch appliqu? 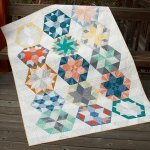 quilt blocks intertwined with cool outline quilting designs. The center is a spectacular BERNINA Jumbo Hoop design. While leaves may fall and fade, these designs will stay vibrant all year long. Borders, accents, short sayings and appliqu? leaves will provide all the tools you need to infuse any project with autumnal splendor. We are making this rustling, swirling leaves table runner or wall hanging to compliment our fall decorating. No "Otter" class will be as fun as his one! Come make this cute Otter and friends! The best part is it's done all in the hoop! Go home with a fun finished snuggly project. Do you remember the days when you would doodle designs to create scenes? Well, now you can do that on your embroidery machine. Using the designs from this charming embroidery collections, you will learn how to combine designs and edit them on your machine. Planning a trip? Maybe a cruise? Going to Disneyland? Or maybe Hawaii? Come join us to make this super cute crossbody bag. It?s perfect to hold all the essentials when taking a trip and with a zipper closure everything is secure. This bag is fully lined so no raw edges and even the zipper is put in with the embroidery. Learn how to use the tools in BERNINA Software V8.1 to set up large designs to be embroidered in multiple hoopings. Multi-hooping makes it easy to match up each part of a large design. In the software you can print out templates of the design to help with placement and putting large designs together. Welcome to a whole new creative world! We are so excited to offer a beginners sewing class. You will learn all about a sewing machine and finish 2 Beginner projects; Scrunchies and a Marble Maze Game. You will go home with a whole new world of creative thinking and excitement for your new sewing hobby! Having Sew much fun this summer? This intermediate class will be so fun! We will be making a beach towel/blanket for all your summer outings. It will include a pillow pocket, secret pocket for suntan lotion and fun stuff and handle for toting it wherever your adventures take you! Learn how to scan a color picture into your computer/software, adjust the color picture in Corel Paint part of the BERNINA Software V8.1. Next convert the color picture into stitches. It?s amazing the resemblance from picture to stitches. So you can sew?. but can you applique? In this class we will be making a small lap quilt top. 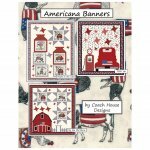 We will learn to trace patterns, use Heat and Bond, learn to set patterns and applique! Llama or unicorn, which will you chose to snuggle tonight?